As a law firm that assists clients with a diverse array of legal matters, we know that our clients face legal issues that often require immediate attention. For this reason, we have built our firm based on a foundation of accessibility, flexibility and responsiveness. Our attorneys fully dedicate themselves to our clients, and they are available when our clients need them most. 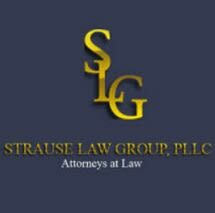 If you live or work in Kentucky, or you simply have business ties to the state, you can depend upon the legal guidance you will receive from the attorneys at Strause Law Group, PLLC. Our legal team, comprised of five highly experienced attorneys, will work diligently to help you overcome your legal challenges and reach your goals. You can learn more about the benefits of choosing our law firm for your business or personal legal need during an initial consultation.